Despite the extraordinary trauma she underwent and the nightmares she continues to have, Rebekah sees it as just another part of her personal journey, a journey that has led her through abuse, mistakes, and pain and into the arms of Jesus. 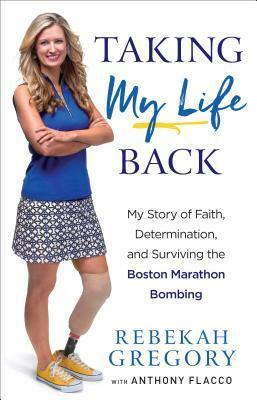 This stirring memoir tells the story of her recovery, including her triumphant return to Boston two years later to run part of the race, and explores the peace we experience when we learn to trust God with every part of our lives—the good, the bad, and even the terrifying. 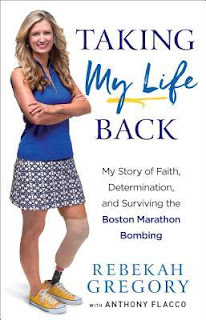 Rebekah Gregory chose not to be a victim but a survivor. She shares her story of not just the Boston bombing but her growing up years and what shaped her to be the person she is today. "...if you expect to read about a perfect Christian life with a pretty little bow on it, you have picked up the wrong memoir. What you will read about it someone who tries to live the Christian life, who tries to walk with God, and who had not always succeeded in getting things right." I found this book to be a quick read while still engaging and inspiring. Rebecca has gone through a lot in her life before the bombing and she is very candid with her struggles and errors in judgement. She doesn't sugar coat her story making it easy to relate to. Her faith is central here and she let's the reader in on her thoughts and motivations. 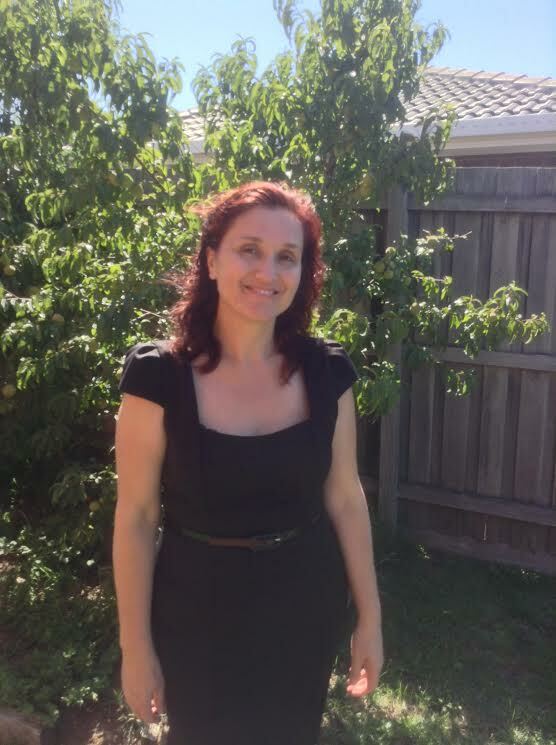 She is honest as she shares her emotional roller coaster ride recovery, and not just the physical aspect. Taking My Life Back is an inspirational story. While there were times I found the book a little disjointed, with it bouncing around a number of times, it was a moving testimony and one that will stay with me. It is New York City and the Civil War is brewing. Norah McCabe, an Irish immigrant who escaped the Famine as a child, is now a young widow with a daughter. 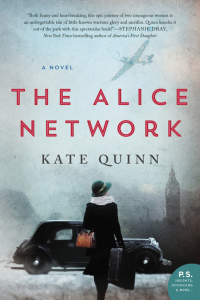 She is a milliner, struggling to survive in tumultuous times. 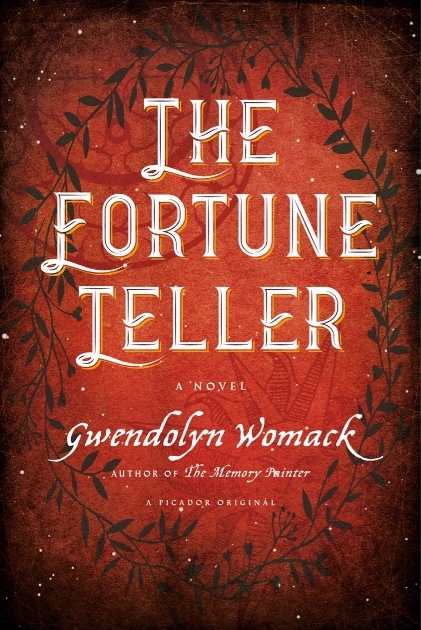 Norah meets Abraham Lincoln, befriends the extraordinary African-American woman Elizabeth Jennings, and assists the Underground Railroad. 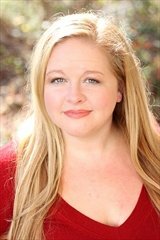 She falls headlong in love with Edward M. Knox, son of the famous hat-maker Charles Knox, but he is lace curtain Irish and she is shanty Irish. Edward joins the 69th regiment and leaves for battle. 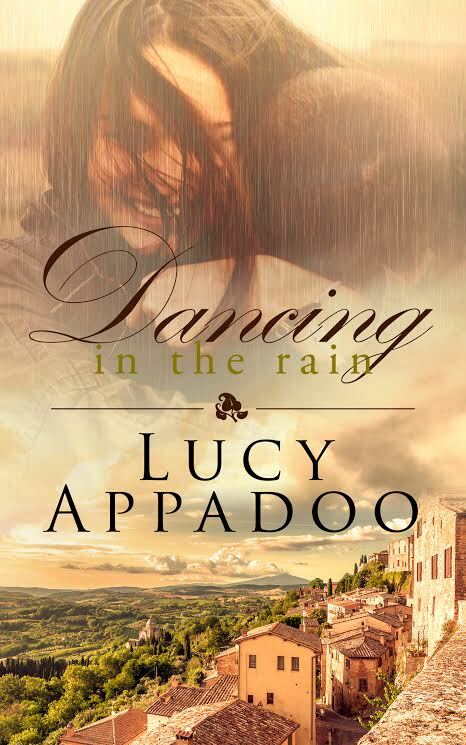 Can their love endure through class differences and war? 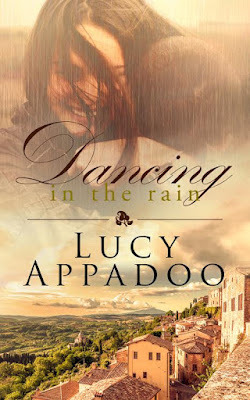 I don't recall reading a book about an Irish immigrant living in New York City during the Civil War era, which I think is one of the reason this book appealed to me and I jumped at the opportunity to be part of this blog tour. Norah is a young Irish American mother, widowed and residing in the Five-Points area of New York City. While it took me a little bit to get immersed in the story I found the view of New York City before the Civil War interesting and a true picture of what life was like back then. I enjoyed Norah's character, she was determined, devoted and caring. She wasn't afraid to stand her ground and worked hard trying to expand her hat business. You have to wonder if it would be easier just to put your head down, devote yourself to your loved ones and try to survive the times. I love hearing about the Underground Railroad with it's secret messaging systems, I found the involvement of the hats fascinating and would have loved a little more detail into their role. All in all I enjoyed this one, it's always great reading about strong women who go against the grain of society, who want to make a difference and a better life not just for themselves but others as well. The author's note always finish off a book nicely and I enjoyed learning that Elizabeth Jennings as well as Edward and Charles Knox were actual real historical figures. I could feel the author's passion for the Irish and it shows here with her knowledge of the times. I received a copy of this ebook as part of the tour in exchange for an honest review. 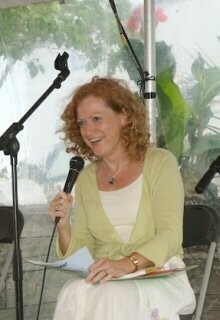 Cynthia G. Neale is a native of the Finger Lakes region of New York and now resides in New Hampshire. She has long possessed a deep interest in the tragedies and triumphs of the Irish during the Great Hunger. This is Ms. Neale’s fourth novel. 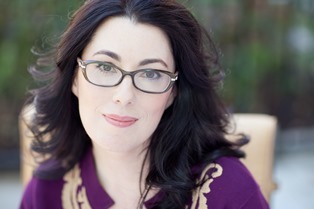 She also writes plays, short stories, and essays, and holds a B.A. in Writing and Literature from Vermont College. For more information, please visit Cynthia G. Neale's website. 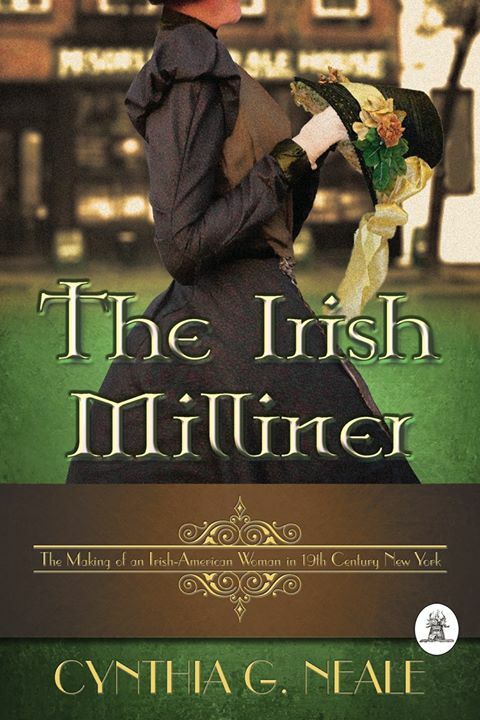 To win an eBook of The Irish Milliner by Cynthia G. Neale, please enter the Gleam form below. 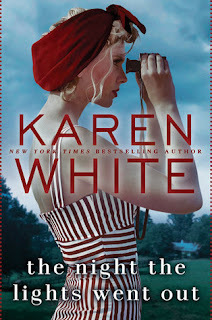 Karen White is a relatively new author for me. 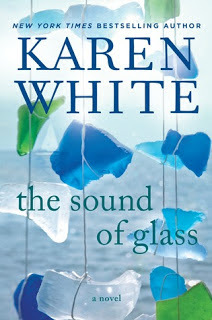 I have read The Forgotten Room which she pinned with two other authors but it was her book The Sound of Glass that really made me pay attention to her work. That book was an audio read for me and I absolutely loved it, so it only stands to reason that I jumped at the chance to listen to the audio book for the night the lights went out when it became available from Audible. This would be a perfect beach book in my opinion. Coming in at just over 400 pages there is enough time for the reader to get to know the characters and for the plot to really develop. While I could see where the story line was going I was waiting for that big event, that turning point, for lack of a better word the inciting incident that I knew was going to pop up at any moment. When it did it was something I totally did not expect and was rather speechless while I listened. I love it when an author does that, throws a curve ball with something believable but totally unexpected. The author brings the south to life with unique saying and customs, the added feature of the blog postings left me wondering who the writer could be, the motives and how that fit with the story. Again there were some aspects that were predictable but the smooth writing, intricate detail and satisfactory ending made this a very enjoyable book to listen to. Karen White is an author that I definitely recommend both in print and audiobook format. This audio book was obtained from Audible and part of my personal library. 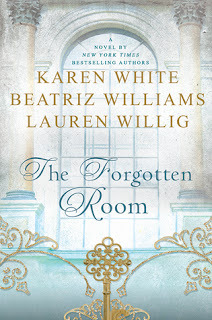 Click on the covers below which will take you to my reviews of The Forgotten Room and The Sound of Glass.